Those terrible twos are finally behind you. (Or maybe they weren’t so bad—they’re cranky but they’re pretty cute at that age, too.). If your peanut is finally 3, they’re moving into a whole new bracket of available toys and games. Pieces that were formerly inappropriate and unsafe due to small parts are no longer such a blaring danger. But 3-year-olds are still a fussy bunch. When picking out a gift for a 3-year-old girl, you want something that is flashy and bright. Bold colors are attractive to young eyes. Toys that play music or make noises will keep their attention. Products with lots of textures will keep little hands happy, and you want to aim for toys that they can easily grasp and maneuver without getting frustrated. Our Top 21 Gift Ideas for 3-Year-Old Girls all made it onto our list because of their longevity, safety, and ability to improve upon the skills of your little ones. These toys will help improve motor skills, hand-eye coordination, cause and effect, and logic and reasoning. Colorful, noisy (sorry, parents!) and guaranteed to help with developmental skills while also providing hours of fun, these 21 toys are bound to bring a smile to your sweet-peas face! Now that you're past the terrible two's, your little one is starting to get more adventurous! Help pick the right toy for them with our fabulous new buying guide format! Your 3-year-old girl grows more curious about the world every day. Expand her horizons with one of the toys on our recently updated list of the 21 best toys for this age group. In addition to adding new products, we have reviewed all existing product information to ensure that it is accurate and up to date. Introduce your child to the wonders of how to tell time! A great start for a wonderful head start on how to tell time. Vibrant colors will work your child’s ability to read time by the numbers. Take away pegs with the numbers on the clock that can create a more dynamic game about how time can be read. Cool shapes will keep your kid entertained for hours. A great preschool tool to teach your little one a thing or two about the clock. By 3 years old most children have the ability to begin reading a clock. So get your little one started on the right foot with this extra durable wooden clock toy. Benefits – Learning to tell time is always a significant time in a kids life. This clock will introduce the concepts of time- telling in a very tangible way. With clocks and pegs to match with the numbers on the clock your kid will have a smooth process when it comes to learning to read the clock. What We Like about It – The paint job on this fun kids clock is what makes it really great. The many dots and different subtle and vibrant colors at work give the clock an almost motioned look to it. If you look at the center it looks as though it is in motion; this will help your child to remember that clocks are always in clockwise in direction. Playing around the house and make believing you are helping to clean is a great way for kids to get a real hands-on feel for chores and responsibility. This kid-sized cleaning set is a great way to help inspire them. The kit includes six pieces (mop, broom, dustpan, duster, brush, and storage stand) of housekeeping toys that will keep them busy for hours. All handles and the stand have been constructed from durable wood and include hanging loops to easily store in the stand. All of the handles even snap into in the dustpan making clean up and carrying around easy and fun. Kids love playing house and helping why not create a cleaning route they can help with as well. Benefits – Imaginations of a 3 three old girls are going wild at this point in their life. Why not put that imagination on a path to develop great confidence and responsibility? Hands-on play with creative and functioning toys like this pretend play cleaning set is one of the best ways to develop this skill. Teaching responsibility and boosts self-esteem is easy with great toy sets. What We Like about It – It’s effective in teaching kids how to clean their rooms in a fun way. Also helps foster imagination while at the same time enhancing their gross motor skills. Little girls love toys that display elegance and grace through pretend play. This magnetic wooden dress-up doll is nothing short of that. They can play fashion coordinator, dressing her in everything from her practice tights to brilliantly sparkling tutu and tiara. The set includes the dress up doll that is magnetic with several outfits that ‘stick’ right on plus fun accessories to make the outfits complete. Playing dolls will never been the same once they own this ballerina. Benefits – Inspiring the imaginations of children in the technology world that we will in can be hard, but with this dress up magnetic ballerina it is simple and fun. The doll will encourage their natural curiosity to explore their full imagination. What a better way to enrich playtime than with an elegant and graceful ballerina. What We Like about It – Playing dress up is always a fun thing for little girls. This magnetic doll is easy to work with and provides an inspiring new approach to the dress up playtime routine. With 2 large rear wheels spread in a wide wheelbase, your 3 year old girl will love taking the Barbie Tough Trike for a spin around the neighbourhood. This pink-bodied, purple-wheeled trike comes with a secret storage compartment underneath the comfort seat, large pedals, and an easy to grip handlebar. Turning the ignition on emits an audible click for more realism. Benefits – The Barbie Tough Trike is the perfect toy to help your little one explore the world around her. By allowing her to explore, you’re ultimately fostering her imagination which is important for every child of any age group. It’s not only perfect for assisting in building her motor skills as well as coordination, but it also helps to build her character. She will learn to take initiative and will also develop independence. The Barbie Tough Trike allows a young three year old girl to develop their balance and coordination skills. Pedaling the trike requires coordinating foot movement, while steering requires coordinating hand movements. What We Like about It – It’s perfect for strengthening the muscles of the legs and arms. It also enhances balance and coordination while encouraging imaginative play. If you want a desk for your three year old girl that can function three different ways, then give her the Touch and Learn Activity Desk. It is an interactive desk that can be converted into an easel for paintings and caricatures and a chalkboard for writing and doodling. It plays more than 20 songs and melodies. It features double-sided cards that teach kids about letters and numbers and a whole lot more including more than 160 words. Its LED screen allows kids to copy letters and numbers in a step-by-step manner. Benefits – Exploring their creative side is fun with this activity desk. The interactive features and unique method to learning makes it super fun and keeps all the materials in one area. It allows 3 year old girls to embrace the learning environment while having some pretend time imaging what school will be like for them. They will enjoy hours of entertainment from this desk. What We Like about It – It’s a multifunctional interactive learning activity center in a desk. It helps enhance kids’ language skills while stimulating further brain development as well as fine motor skills. Numbers and letters in a stroke-by-stroke mode is an awesome way to not only learn to write, but form a strong recognition. This toy provides guidance and practice writing lowercase and uppercase letters plus 1-10 numbers through an interactive activity that includes fun physical enforcements as well. It has been designed to be used by left and right hand writers, has an easy to grip stylus, and can be taken on the go or used at home. This is a great way to get 3 year old girls learning letters and numbers with hands on experience. Benefits – Teaching your baby girl to write early on has endless benefits. First she will be ahead of the curve, and will have already developed great writing skills. This is turn will only make learning to read a breeze as reading and writing go hand-in-hand. A strong foundation of reading and writing will also begin to build confidence, and will stick with her throughout her school years. Great writing skills also helps with learning to spell, and understanding punctuation and other areas of writing. What We Like about It – It’s a unique way to develop kids’ writing skills. It also helps in the enhancement of fine motor skills as well as hand-eye coordination. Creative playtime fun with pegboard designs. Each board features a fun and colorful picture that gets colored in by snapping mushroom shaped buttons in the corresponding holes. The unique pattern completes the illustration and leaves little girls with a smiling face. Once, they have mastered the pre-completed pictures then it is time to move on to creating their own designs. Each set comes with 46 colorful buttons, 10 pictured pegboards, and a storage tray to keep everything in. The kit is constructed from top quality materials that are safe and kid friendly for three year olds. Imagination playtime with this kit will be inspiring and leave them with a sense of artistic ability. Benefits – The matching and sequencing ability that comes along with the inspiration to express yourself can be hard. This kit takes learning and self-expression and puts it into a whole new category of fun. They learn from placing the buttons in the pegboards then it inspires them to create their own design all while working on fine motor skills and color recognition. It is truly a progress that all parents will love watching their three year old complete. What We Like about It – Whether it’s for make-believe play or actual grocery shopping, your kid will surely love this as ours had. It’s great for encouraging imagination and creativity while enhancing motor skills. Not all screen time is bad! The VTech Little Apps Tablet is a great way for little ones to learn while they play. Equipped with a color-changing screen, letter buttons, and a piano keyboard, this toy encourages role-play as well as electronic play and a firmer understanding of letters, counting, numerical orders, and matching. With 12 games and activities all geared toward fun-filled early-learning skills, the VTech Little App Tablet is like giving your tot their very own laptop filled with enjoyable ways to practice their growing abilities. Cody the Smart Cub keeps your wee one company while they play and learn. The tablet’s interface is intuitive for children and adults alike, and geared toward children ages 2 to 5. Volume control saves mom and dad from a headache while automatic shut-off saves energy. Benefits – The VTech Little Apps Tablet has 12 learning-centric games for children to engage with. They’ll hone their skills revolving around letters, counting, numerical orders, and categorizing/matching. What We Like about It – It’s fun and diverse. It’s like a teacher-approved game console for little ones. The activities work different skill sets and Cody the Smart Cub is a darling companion. With its sturdy and unique purple frame, the Princess Cozy Truck Ride-On is sure to bring your 3-year-old girl plenty of joy. The truck has a flatbed that comes complete with off-road wheels, drop-down tailgate, and a real-looking front grille. The steering wheel comes with a working horn. There’s a handle on the roof for Mom and Dad to push the truck with. Benefits – Help your angel discover a whole new world with this adorable ride-on by Little Tikes. Exploration is vital in order to foster your little girl’s ability to imagine. This is also the perfect toy for play time as a family. You can push her around as she explores and seeks out new adventures. What We Like about It – It’s ideal for stimulating imaginative play. Also great for strengthening leg muscles and encouraging coordination and spatial relations. The world’s youngest veterinarian is right in your own home, waiting for their chance to shine. The VTech Care for Me Learning Center features an adorable puppy plushie along with an interactive carrier, so your little one can take their furry friend anywhere. The carrier plays fun phrases when you open and close the door, and helps children learn opposition. Light-up buttons work on the comprehension and memorization of colors, shapes, pet care, and plenty more! Slide the letter beads to work through the alphabet and play music. The carrier features over 100 songs, melodies, sounds, and phrases. This set also includes a bowl, ball, comb, and bottle to promote role-play and nurturing skills. Benefits – This interactive carrier and pup teaches children how to care for pets, and comes with features that also enhance comprehension of letters, colors, and shapes. Role-play is an important developmental skill for children to learn, as it promotes empathy and problem-solving skills. What We Like about It – Little ones love to role-play and especially taking care of cute little furry friends. This VTech Learn with Me Carrier gives them plenty of resources to let their imaginations run wild, while also being educational and easy to travel with. Bouncing fun while promoting motor skill development and coordination is a feature that this soft horse provides children with. The horse is constructed from a super strong and durable vinyl that is latex, BPA, and phthalate free. It stands at 21 inches tall and makes a super fun ride on toy that is controlled by the child bouncing around. The ears on the top of the head of the horse are great for holding on as they bounce around. This lovable horse will soon become one of your three years old favorite toys to explore around on. Benefits – Building strong core muscles and boosting motor skills are fun when you can bounce around on a horse. Bouncing provides children with strong physical development that will last a lifetime. As they hold and move about on this vinyl horse you will see the excitement on their face and hear the giggles with excitement. Ride on toys that provide children with developmental skills like this horse play an active role in their development throughout their childhood. What We Like about It – It is so exciting to see them bouncing around and expelling their energy on these super cute horses. The fun and excitement of bouncing along makes them giggle with joy. They are a great toy for inside and out. Standing at a little less than 3 feet tall, the Dreamhouse is just right for your three-year-old girl. It is designed specifically for one kind of doll – Barbie. It includes more than 70 accessories and features a working elevator as well as highly interactive lights, motion, and sound effects. It even has Barbie’s own bathtub. Benefits – This stylish dream house is sure to keep your angel entertained for hours on end. She will be able to express her creativity in ways she never imagined all while enhancing motor skills, sparking her imagination, and challenging her thought processes. What We Like about It – The playset is excellent for encouraging cooperative play as other children may also have their own Barbie dolls with them. This helps promote imagination, social interaction, and active role-playing to enhance cognitive abilities of 3 year olds. This toy might seem super girly, but it’s true — there are a lot of little girls who love watching their moms or older sisters get ready to go out. This kid-friendly purse is sure to give them that feeling of being a “grown-up” and comes with their very own cell phone, keys, lipstick, wallet, mirror, and debit card. It’ll instill a feeling of adulthood and give them a chance to be just like the older women they look up to, which will boost their confidence and allow them to have fun without diving into real makeup or carrying around a real purse. It’s a cute idea and one that’s sure to bring a smile to your face when your little girl can’t leave the house without her personal pocketbook. Not to mention, it’ll help her practice not leaving her car keys in random places — Something many adults have yet to master! What We Like about It – It’s perfect for make-believe play which can help develop kids’ critical thinking skills. It’s also great for stimulating imagination. Aside from chocolates, everybody just loves ice cream. With the Duplo Creative Ice Cream, 3 year old girls can have a blast pretending to concoct their own mix of the best ice cream cones and bricks. The set comes with 3 cones, several Duplo bricks, 6 colored scoops of ice cream, and several pieces of brick toppings. Benefits – This colorful ice cream will not only be fun visually for your little one, but it will also stimulate creativity, strengthen motor skills, and keep her engaged. It’s also great for bringing the family together which will only help build her confidence as she enjoys assembling fun flavorful creations. What We Like about It – It helps enhance hand-eye coordination, fine motor skills, and spatial intelligence. More importantly, it’s perfect for developing problem-solving skills, creativity, and imagination. Let your 3 year old girl bring her friends over so they can play with the Uptown Espresso Kitchen. This ultra-modern kiddie kitchen comes complete with a 4-burner stove, an oven, a kitchen sink with faucet, a dishwasher, a microwave oven, and a refrigerator. It also includes a play phone, pegs, and a cupboard for the ultimate in make-believe kitchen play. Benefits – This amazing toy kitchen is small enough for your angel yet big enough to provide her with a real kitchen and cooking experience. From reaching and storing, to opening and turning, your little one can strengthen her motor skills at every turn. This set also promotes creative play as well as independence. What We Like about It – Details on this playtime kitchen are amazing. It includes everything from the chalkboard on the freeze to the towel holder on the side. The idea that they can play along in the kitchen and actually feel like they are using a ‘real’ kitchen is super fun. When it is time to pretend play in the kitchen nothing makes it more exciting than a great set of playtime foods. This set of 115 pieces includes all the pretend food, condiments, and drinks that a three year old girl could ask for. The set goes great with a pretend kitchen or alone. With this many pieces, it really allows them to explore the world of food combinations through pretend play. Benefits – Making lunch for mom or friends is always fun with this set of playtime food. The details of the pieces and the constructed really allow children to explore their imaginations through pretend play. With a large pretend food set like this, it will allow their exploration of food to boost and maybe even encourage them to try something new at dinner time. What We Like about It – The play food items are quite realistic so it helps kids expand their vocabulary and enhance their language development. Moreover, the playset is effective in encouraging imaginative play. When shared with other kids, it’s good for social development, too. You scream, I scream, we all scream for ice cream! Your little three-year-old will be screaming for ice cream along with you on her journey with the LeapFrog Scoop & Learn Ice Cream Car. With a special “monkey” register that tells your little girl exactly what the order is, she’ll learn how to pay attention and follow instructions, which is a great motivational benefit of this toy. The cart itself plays music when it’s moved which will make her feel like a real ice cream maker, and the fun is doubled when she serves her family and friends. The cart comes with several varieties of ice cream, a specialized scoop, pretend toppings, and pretend whipped cream. Each order card specifies different directions, so your child will be able to learn over time and familiarize herself with each and every ice cream combination. It’s a fun toy when taking orders, but it’s also fun for her just to play with on her own. Anything that has a food theme is bound to be a blast because if there is anything three-year-olds love to do, it’s to eat! Plus, everyone loves ice cream. Benefit – Your little girl will enjoy listening to her monkey call out various orders because she’ll have a blast while learning important listening skills. The pretend ice cream looks surprisingly realistic, and with so many topping options, she’ll be in for hours of fun. What We Like about It – This is a simple concept that has been taken to the next level by LeapFrog. It’s fun for everyone but also teaches skills that are important to learn at the age of three. The next time you go out for a picnic, make sure to let your 3-year-old bring her Tea Set Basket. This is especially true if she has siblings or has decided to bring her friends along. The set comes with a beautiful wicker basket, a porcelain teapot, sugar bowl, creamer, and 4 sets of tea cups, saucers, and napkins. It comes with a tablecloth, too. Benefit – This charming tea set is the perfect addition to any picnic. She can invite friends to play and also develop a sense of independence, when setting up items within the tea set. What We Like about It – It encourages realistic role-playing among kids. While the manufacturer says it’s recommended for 8-year-old girls, many parents find it very helpful in teaching their 3 year olds the joys of picnicking and tea drinking. Toddlers and preschoolers are very active tots. Giving them the Little Hands Button Art set should keep those hands very busy and those minds very creative. The art set includes 46 differently colored buttons that can be snapped onto 10 colorful images. It already includes a storage tray to hold everything together. Benefits – Button art is a great way to build hand-eye coordination while watching their creativity blossom. This set is great for 3-year-old girls ready to match and snap buttons to complete fun works of fun. The buttons are a great fine-motor skill development tool and help develop a strong love for creativity. Watching their creativity develop with toys you are able to provide them with is awesome. What We Like about It – It helps foster creativity and imagination. Moreover, it’s perfect for enhancing their spatial intelligence, fine-motor skills, and hand-eye coordination. Great for color recognition, too. It may look like an ordinary board game but unfold the Richard Scarry’s Busytown Eye Found It board game and you will be surprised with 6 feet of colorful mazes, 3 sections of activity areas, and literally hundreds of things to discover. It comes with all the accessories your 3-year-old girl and her friends will ever need to find their way in this metropolis-in-a-board kind of puzzle-meets-search toy. 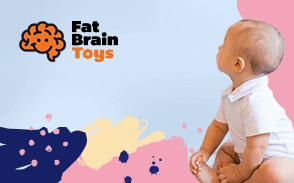 Benefits – This game will be perfect for enhancing brain development in your toddler. While having fun identifying and solving mysteries she will also sharpen her attention to detail, as well as matching skills. This is also ideal for promoting teamwork as this is an activity she can enjoy with her friends. What We Like about It – This board game is literally littered with a lot of exciting things to find. It’s great for encouraging 3 year olds’ exploration. They will need their concentration and focus. This also helps with language development and can help facilitate social interaction. Burning off energy is easy with this fun and safe trampoline. The large surface area and the stable handlebar are great for 3 year olds. It provides them with a constructive and stable place to jump to burn off that ton of energy that they have. The trampoline is constructed from plastic and metal for added durability plus is easy to assembly is just a few steps. It has been designed for indoor and for one jumper at a time. It is important to keep kids active and this trampoline is just the way to do that. Benefits – Perfectly sized for indoors, your child can enjoy endless fun while promoting wellness and staying healthy. This trampoline from Little Tikes is great for enhancing gross motor skills to keep your angel strong while she also increases coordination and balance. What We Like about It – The trampoline is an excellent way to help 3-year-olds strengthen their leg muscles while enhancing their coordination and balance. It also encourages them to be more physically active in a more fun way. Your baby girl has officially entered “toddlerhood” and you’re super-excited because your little one is growing up and entering into a new stage of her life. But becoming a toddler is actually a pretty huge deal. This means your little angel is developing and growing more and more, which also means it’s time for her to be introduced to the world of learning. But how do you go about starting this new venture? You choose toys that will not only make her excited about learning but more importantly that will assist in her understanding and soaking up the information. Because as you know, the right toys are crucial in your child’s development. These learned skills are essentially setting the foundation for her future, for years to come. If you think choosing the correct toy for a 3 year old is easy, we can assure you it isn’t necessarily so. This is especially true if you don’t have a clue as to what 3-year-old girls really need in relation to their growth and development. Not to worry because we have already done the more arduous task of shortlisting the thousands of toys currently sold in retail outlets today. We have researched the top-selling, most popular, and most talked about toys for 3-year-old girls. However, popularity alone does not guarantee inclusion on our list as we also have to consider the developmental appropriateness of the toy-–whether it will be helpful in the promotion of the continuing growth and development of children. Additionally, we also had to look at the safety and quality of the design as well as the reputation of the toy maker. Of course, we had to read the countless feedback and customer reviews regarding these toys. Factoring all of these together, we have shortlisted 21 of the best and most appropriate toys for any 3-year-old girl. We can guarantee you and your little princess will love these. Did you know that your 3-year-old little princess is now able to play with other children of her age in a more cooperative manner? By their third year, they will already know the value of taking turns, of sharing, and, of course, of the importance of teamwork. This helps them feel more comfortable about their own skills and interests. It also helps them communicate better as they learn different words and phrases from each other. It is through cooperative play that 3-year-old girls will be able to develop their social skills and at the same time develop their language and communication skills. This helps promote self-confidence and self-esteem in the young child. That is why it is often advisable to provide toys that allow them to play with other children. The integration of language-building components into the toys can also help in this regard. Another way to boost their self-confidence is by giving them plenty of simple activities which they can perform and master easily. Toys that help reinforce these activities can also help improve self-confidence as well as their ability to focus and concentrate on the task at hand. Toys that have plenty of things to be manipulated like levers to pull, buttons to press, and instructions to follow are particularly beneficial. Also important are interactive toys because these reinforce their understanding of cause-and-effect relationships. Now, 3-year-old girls may be able to concentrate and focus on a particular task but this doesn’t mean that they don’t easily get bored. Their attention span is still pretty much short. That is why it is crucial to choose toys and activities that they are really interested in. These toys, gifts, and activities must be able to sustain the interest of 3 year olds so they won’t get bored. Speaking of interests, 3-year-old girls will already have a variety of things that they can be particularly interested in. This is fueled by their increased curiosity in objects, events, and phenomena as well as anything else their minds can think of. That is why their favorite question will always begin with a “why?” It can be annoying but you should resist the temptation of disregarding these why questions as they are the kid’s way of learning about things she is particularly curious about. They are exploring the world around them and the why questions are their primary means of making sense of the world. The greater understanding they have of the world the more adept they become at creating things. Creativity and imagination can be fostered if children understand how certain things work and why certain events occur. Additionally, creativity can also be encouraged if you give them toys that promote such skills like clay toys, glitter toys, art materials, and craft kits. This is also made possible by the continuing development of their gross- and fine-motor skills including hand-eye coordination, balance, and spatial intelligence. These also allow them to explore everything around them even things that we adults consider gross and repulsive. They can run, climb, jump, hop, and use the stairs quite competently. In simple words, your 3-year-old girl is a very active explorer. As such, it is crucial to give 3 year olds toys and playthings that will encourage the promotion and continuing development of their psychomotor, cognitive, emotional, language, and social skills. It is with great optimism that our list of the 21 best toys for 3-year-old girls will help you in this respect. Q: How do determine if a 3-year-old girl would like this product? A: We put in a huge amount of research to selecting the items that appear on our lists. We make sure that we are finding products that children at this age will like and will also provide and encourage their development, plus we think they are also fun. We talk to parents, toy experts, and review customer ratings to make sure that kids really like these toys before making any suggestions. Q: Are the toys on this list safe for my 3 year old to play with? A: Yes, all the toys on this list have been designed for children of this age category. The manufacturer’s safety rating has been reviewed and each of the toys has been carefully selected. Q: Should you only buy toys that are made for girls for girls? A: Toys these days are made with both genders in mind. They are not made with specific gender concentration when they are created. Many children at this age do not associate toys with gender and play with toys that interest them the best. Often we think of colors of the toy and associate them with gender which is not something that we should do. Both girls and boys like to play with red fire trucks no matter what color. Q: When is the best time to put emphasis on educational toys? A: Children are wonders of the world and are curious about everything and want to learn more about anything. Toys for each age range are designed to help them explore and grow during that time period. So putting toys in front of them and learning with them is best. The best time to start to do this is from birth, but the type of toys that you would pick for a 1 year old vs. a 3 year old would be different. The toy should help develop the mind and body for that stage of life. Q: What is the best way to introduce new toys to my daughter? A: Introducing new toys and concepts can sometimes be difficult. The best approach often is introducing the toy with assistance from an adult and only for a short period of time. This gives them an opportunity to explore with the toy and then move on to something new without getting bored then reintroducing the toy at another time and so on. Q: How can I empower my 3 year old to break out of stereotypes and embrace what she likes? A: As time changes, so do our stereotypes as well as the toys that our children play with. There is a whole new breed of toys available to our children that we would have never dreamed of. With this also comes a new tread of toys are designed to empower young women. We break out of the dolls and move into the world of battery-operated ride-on trucks. All these toys will have a long lasting impression on your little girl.